As the summer months draw near, we grow giddy with excitement about the warm weather and our favorite summer activities. Findings from new study suggest the bacteria known primarily for causing strep throat might also be able to fight colon cancer. For many of us in the US, Memorial Day weekend conjures up feelings of gratitude, thanksgiving and -- of course -- grilling. Among the risk factors for colon cancer, family history is certainly one of the most important ones. 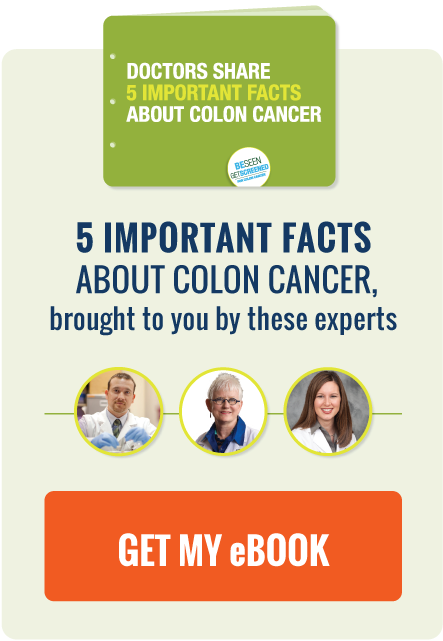 Unfortunately, there are a lot of myths out there about colon cancer and colon cancer screening. Too many people out there think colon cancer is "man's disease" or an "old folks' disease." Some of our biggest supporters here at Be Seen, Get Screened come from the brave group of people that have survived colon cancer themselves. There are several factors researchers have linked to high risk for colon cancer. Diet, exercise, and screening habits are just a few of them. Since we are aware of these factors, we can take action to ensure our overall health to avoid cancers and other diseases. Do you ever wonder why, on some mornings, you feel more exhausted waking up than you did when you went to bed? Sleep deprivation is a common problem among adults with a wide variety of possible causes, making it difficult to pinpoint the particular reason you may be feeling so tired. However, the factors below may contribute to your sleep loss, and with a few minor adjustments you can correct the problem and get the relaxing, essential rest you need for your day to day activities. Once or twice a month, we like to feature a Q&A with someone working on the front lines of colorectal healthcare: a gastroenterologist, researcher or other physician who specializes in colon cancer and colon cancer screening. Meet the second physician we'd like to bring into the spotlight: Dr. Jeff Bullock. Dr. Bullock has spent over a decade practicing gastroenterology with a specialty in colon cancer screening, diagnosis, and treatment. He was kind enough to take time out of his busy schedule to answer a few of our questions, which you can find below.